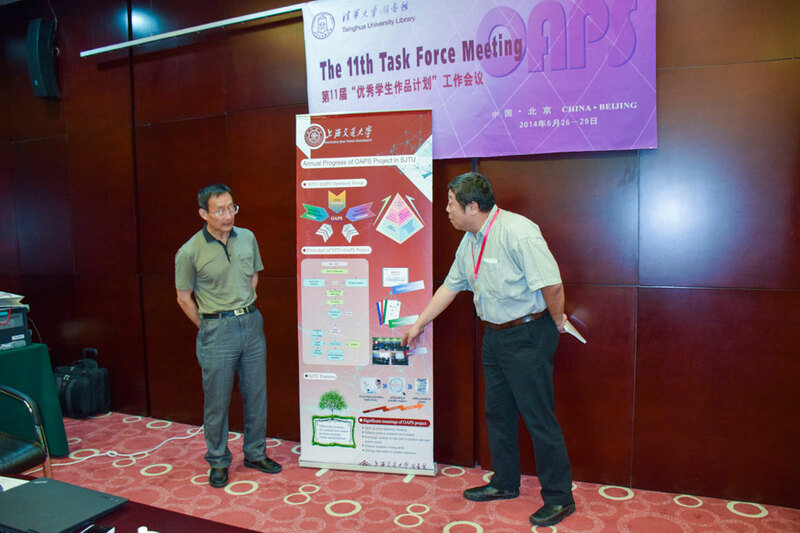 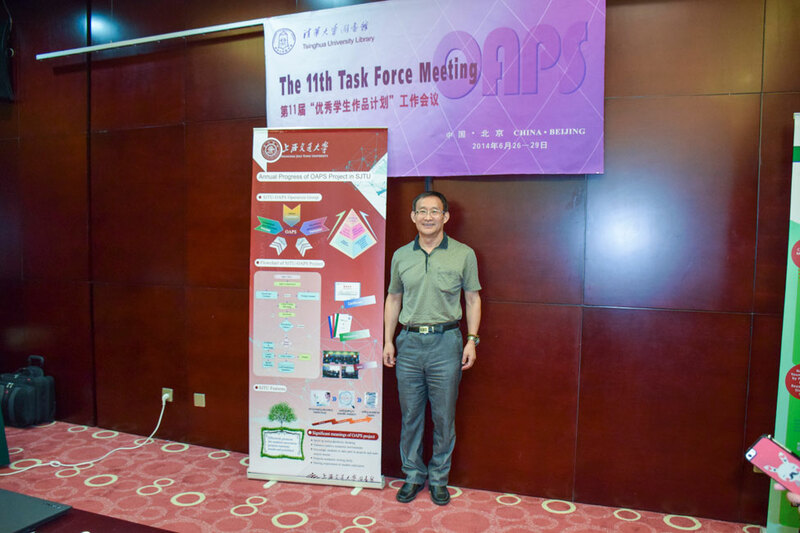 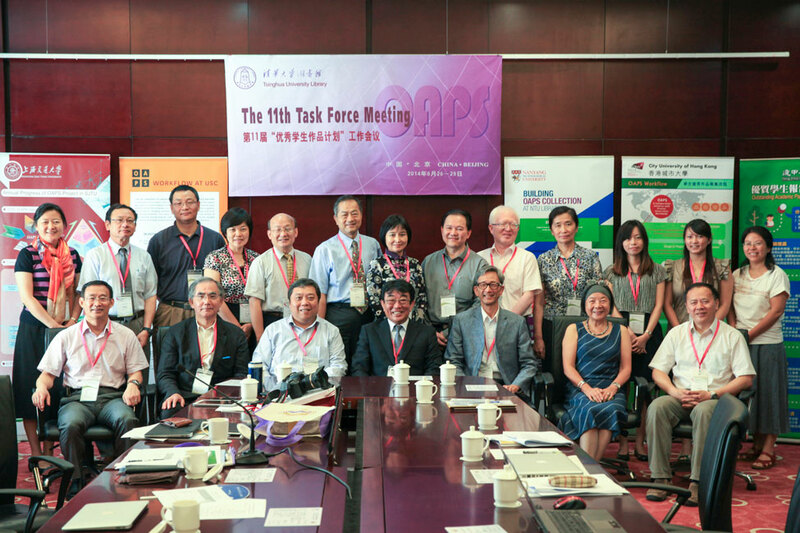 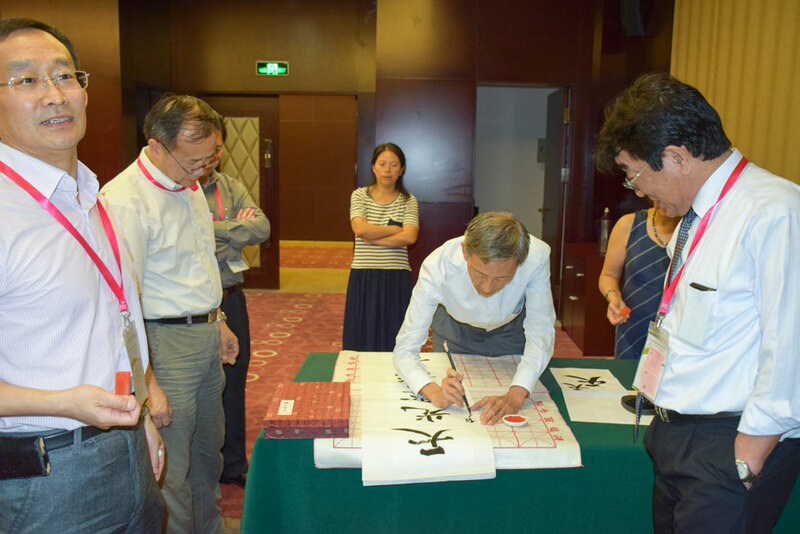 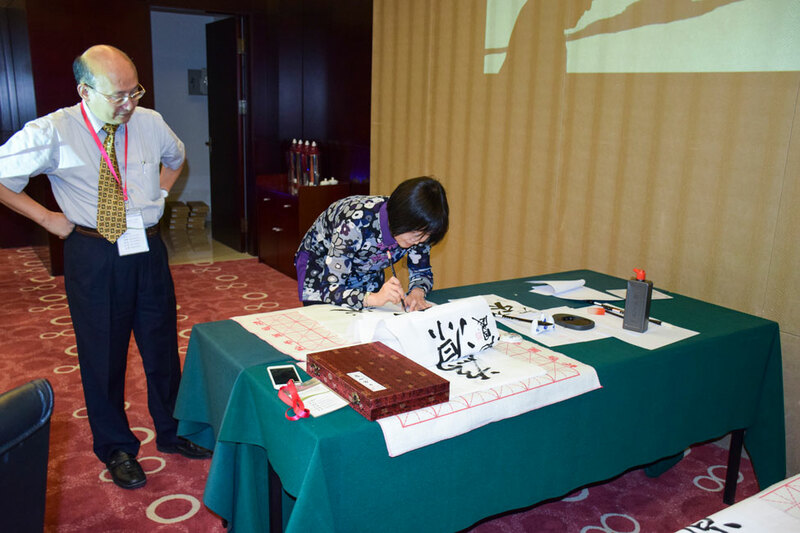 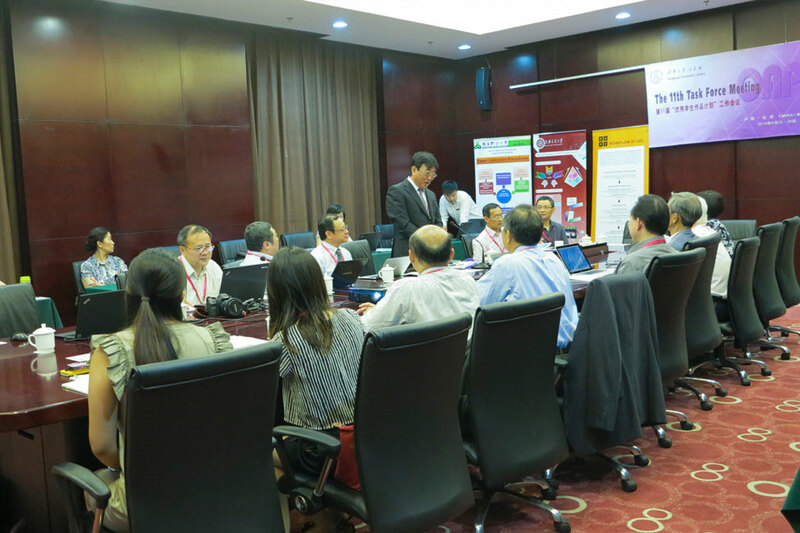 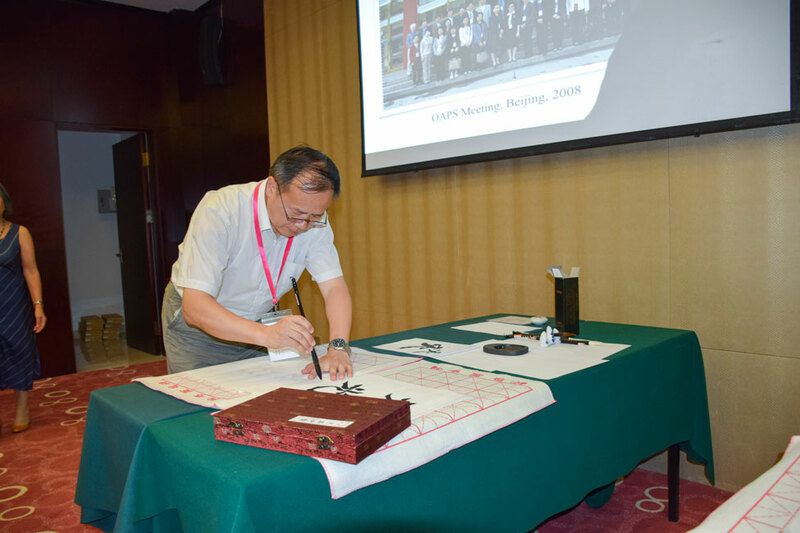 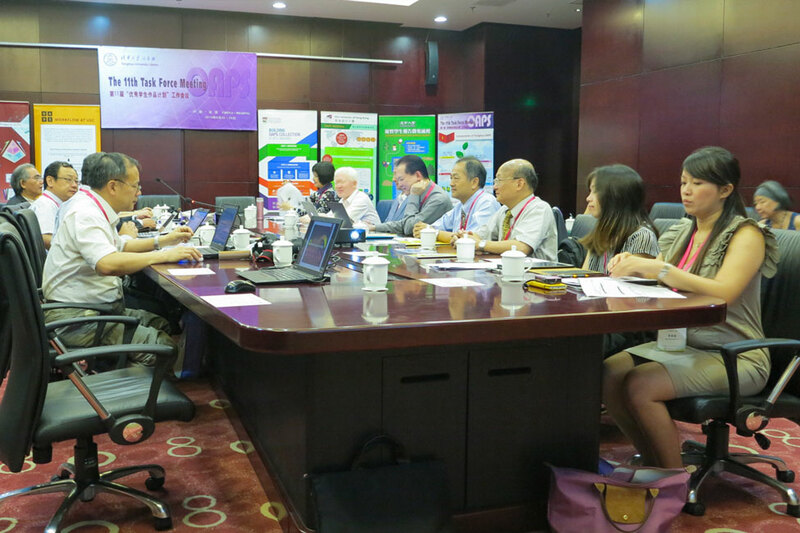 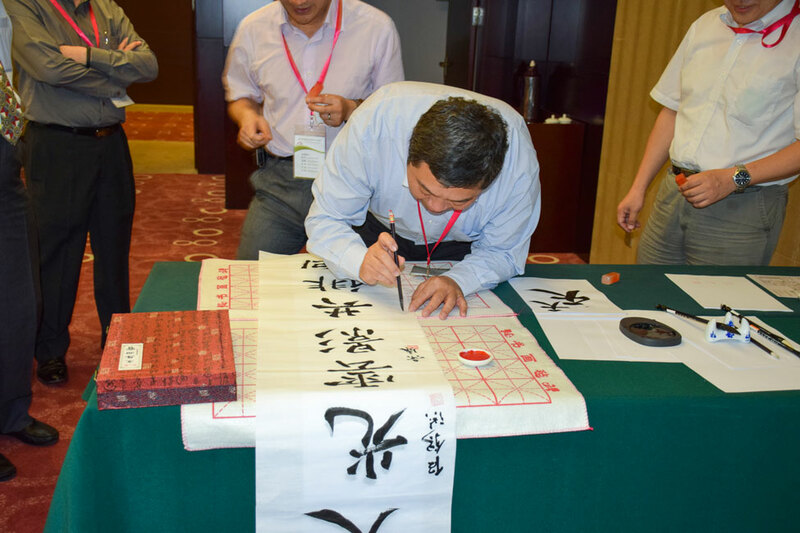 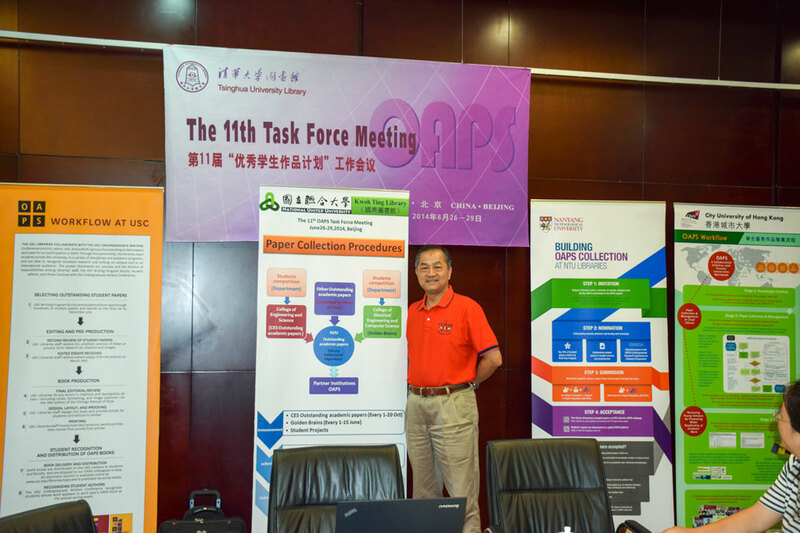 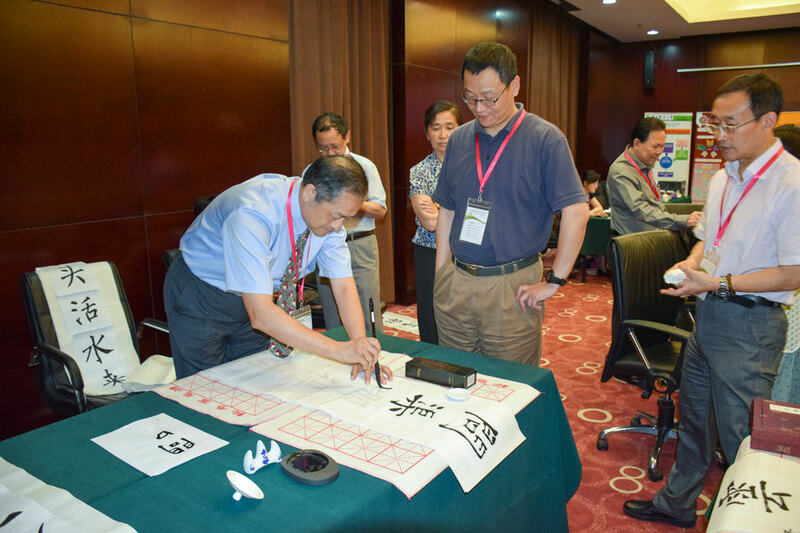 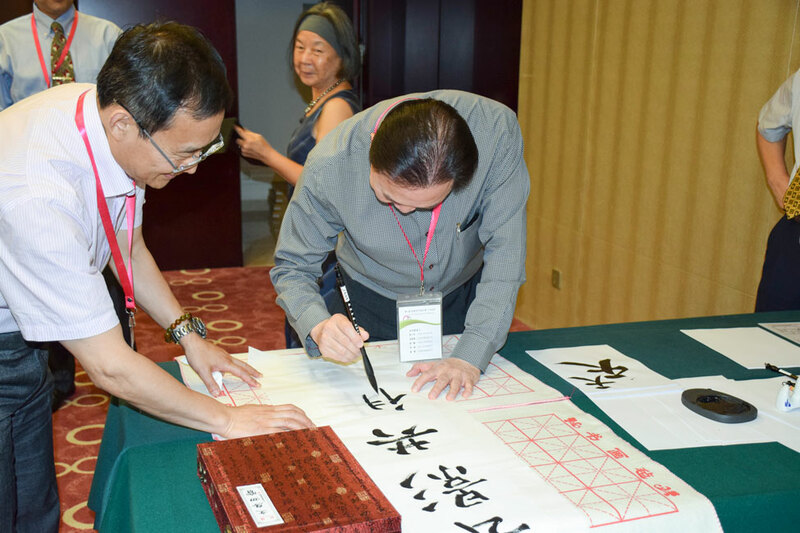 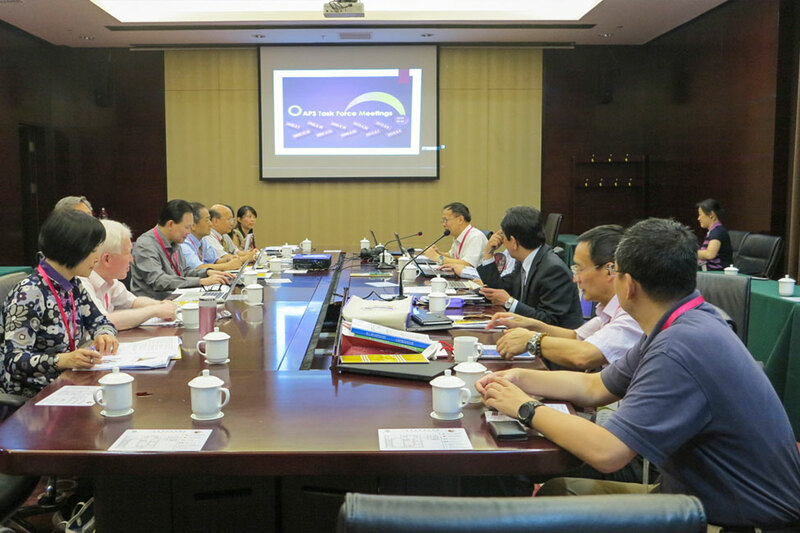 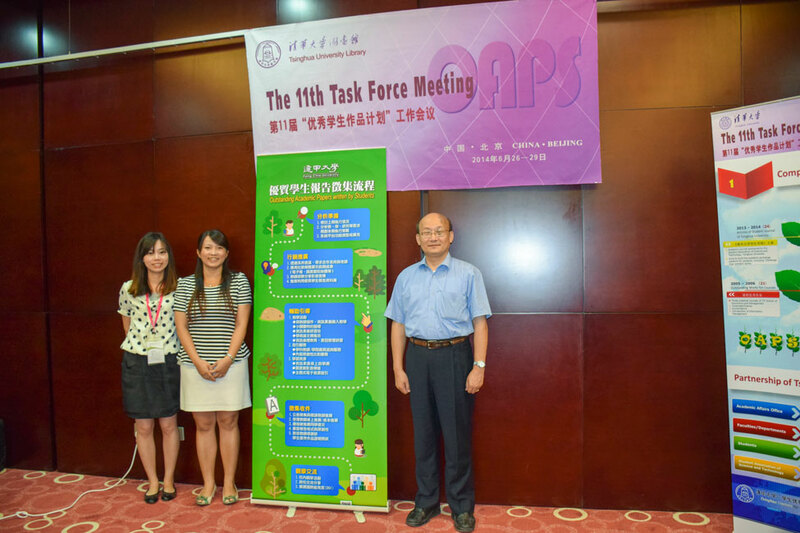 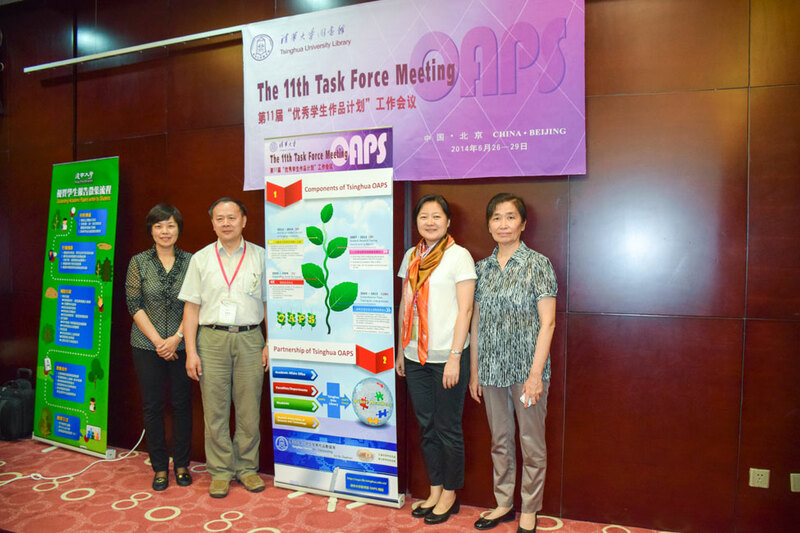 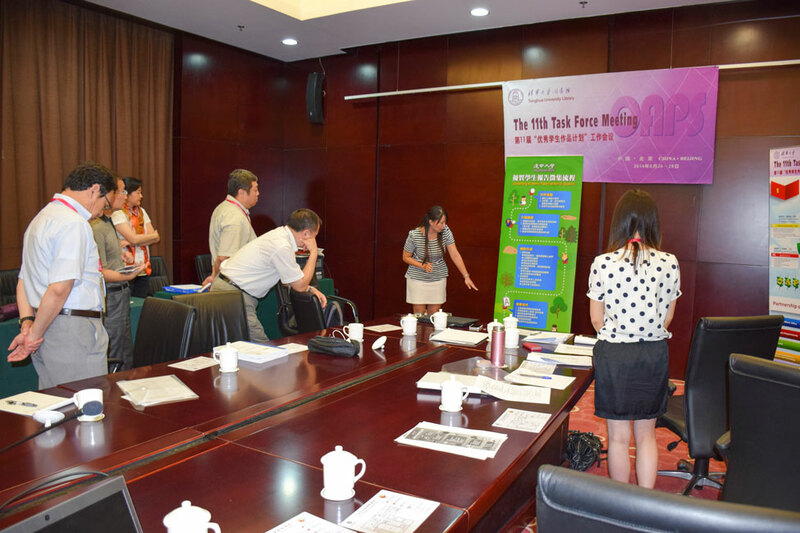 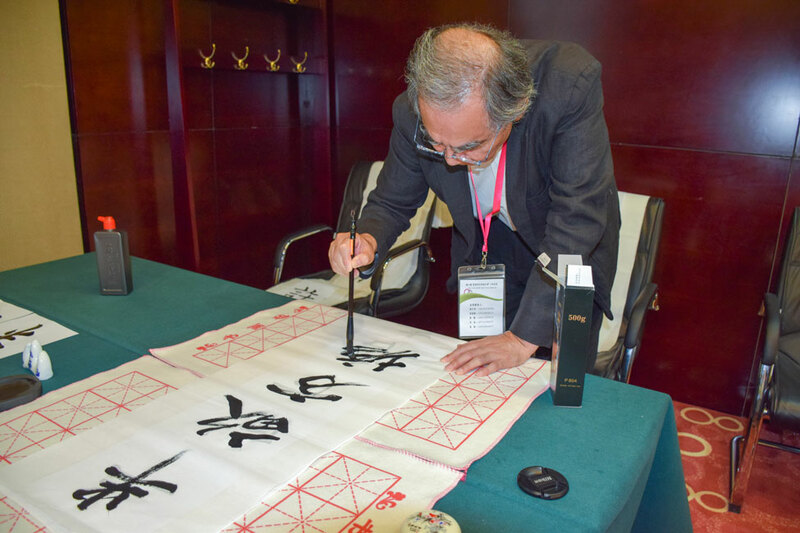 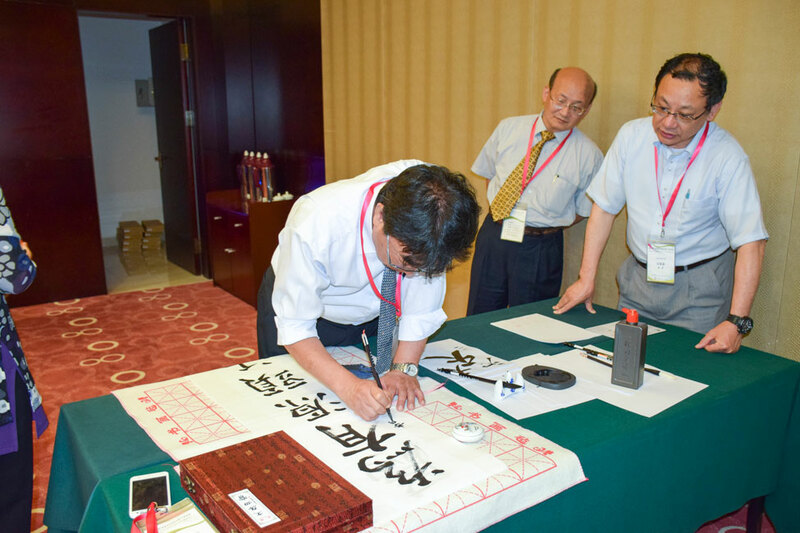 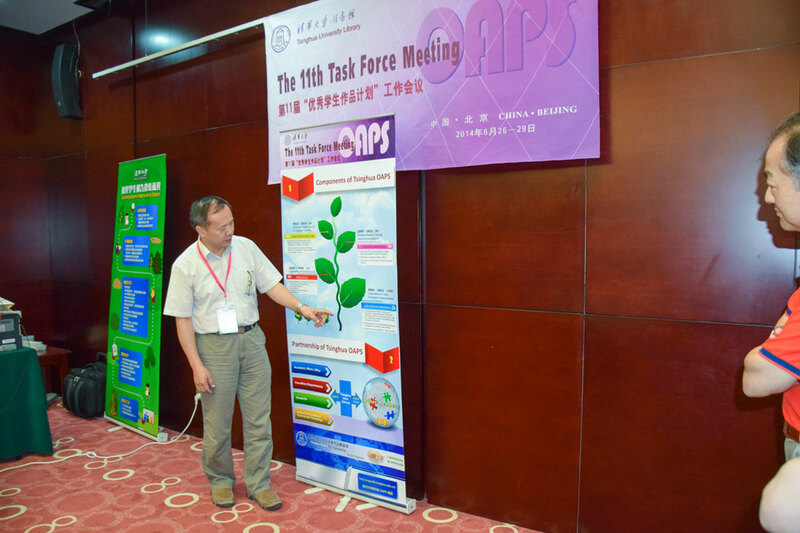 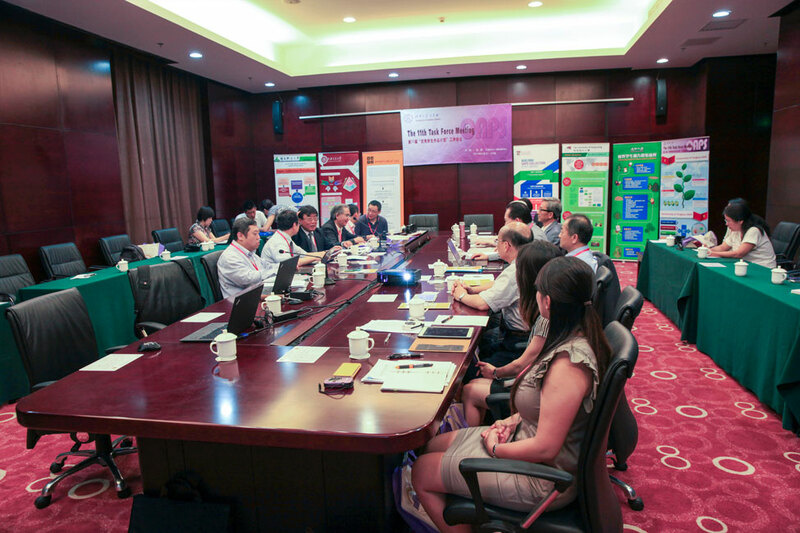 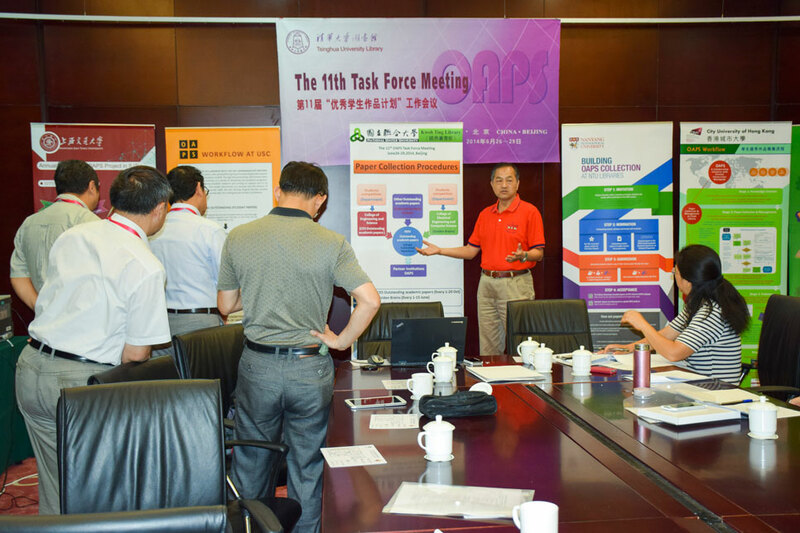 The Eleventh OAPS Task Force Meeting, hosted by Tsinghua University, was held on June 26 – 29, 2014 in Beijing. 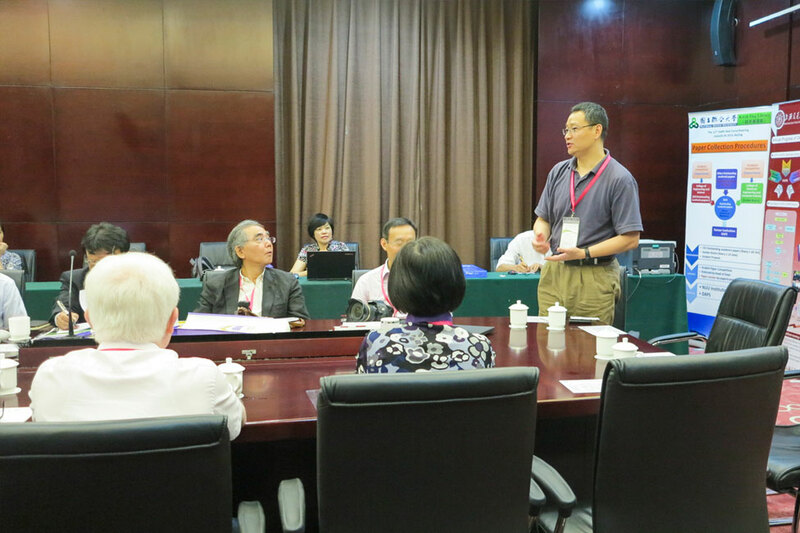 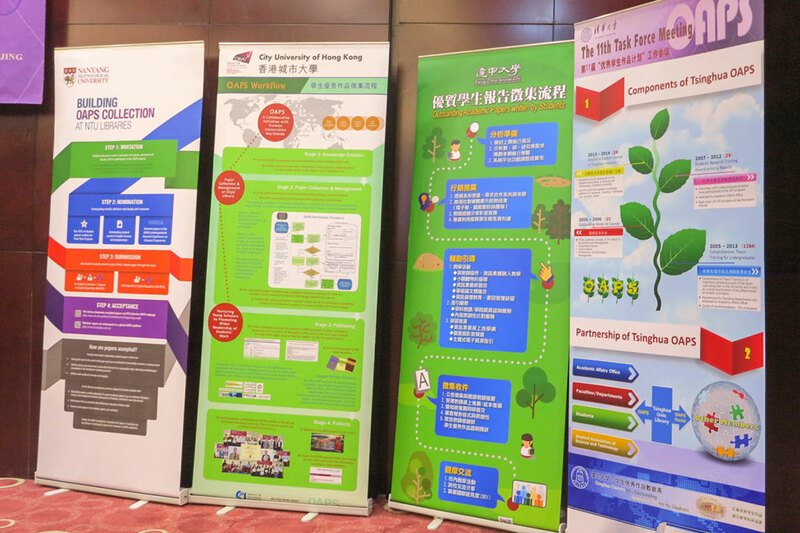 A total of 20 participants from universities worldwide attended the meeting, including participants from City University of Hong Kong, Feng Chia University, Nanyang Technological University, National United University, Shanghai Jiao Tong University, Renmin University of China, Tsinghua University, and Xiamen University. 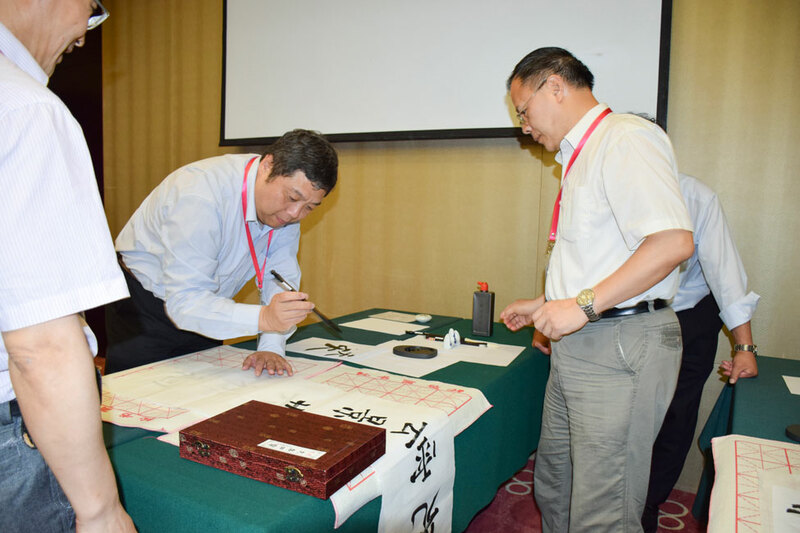 Kansai University Library joined the meeting the first time as observing members. 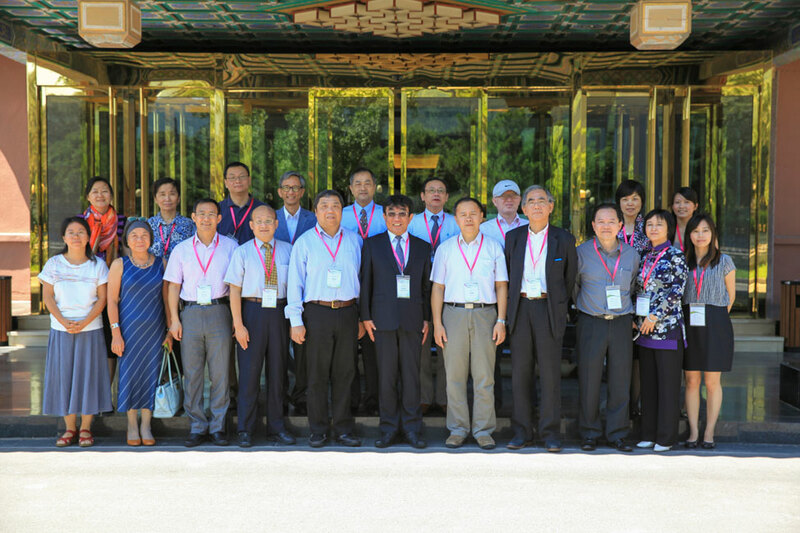 Participants included vice-presidents, university librarians and chair professor. 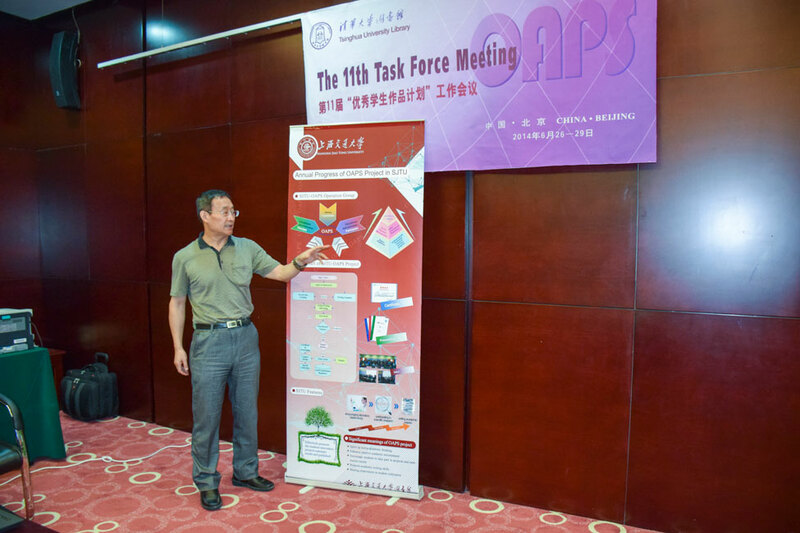 At the meeting, members reported their progress and have discussion on the development of OAPS. 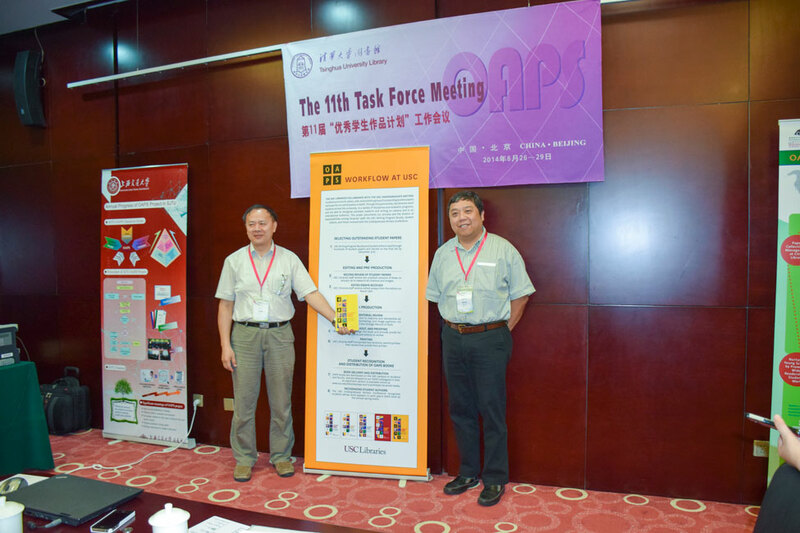 Members also shared their best practice in the collection of OAPS papers in the format of poster presentation. 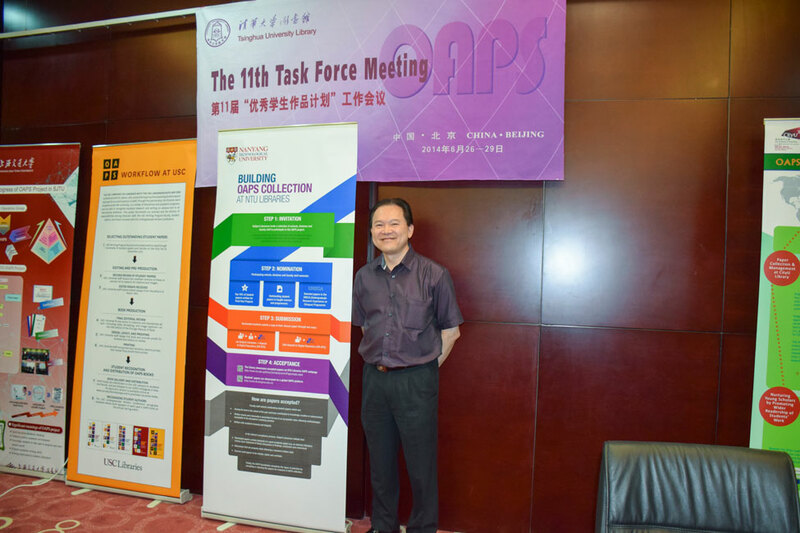 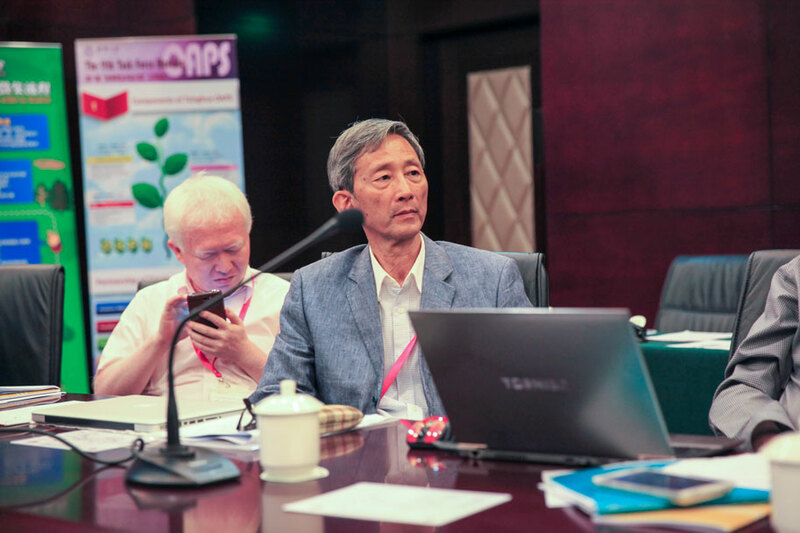 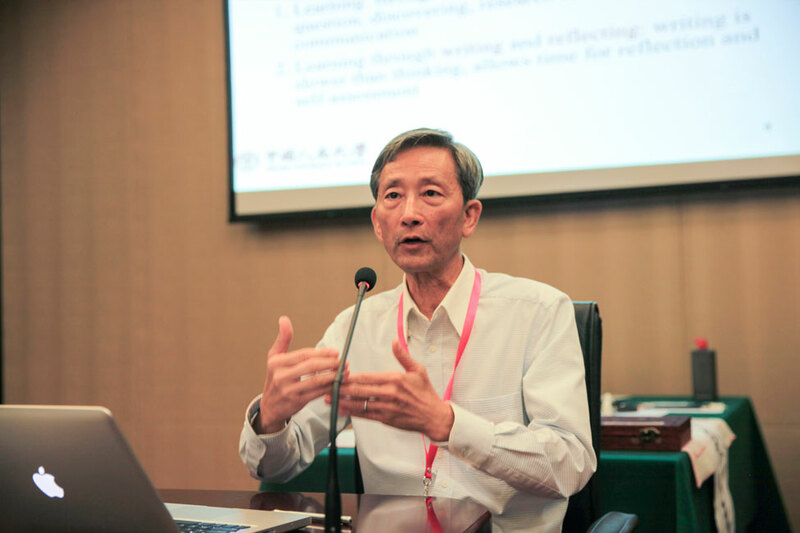 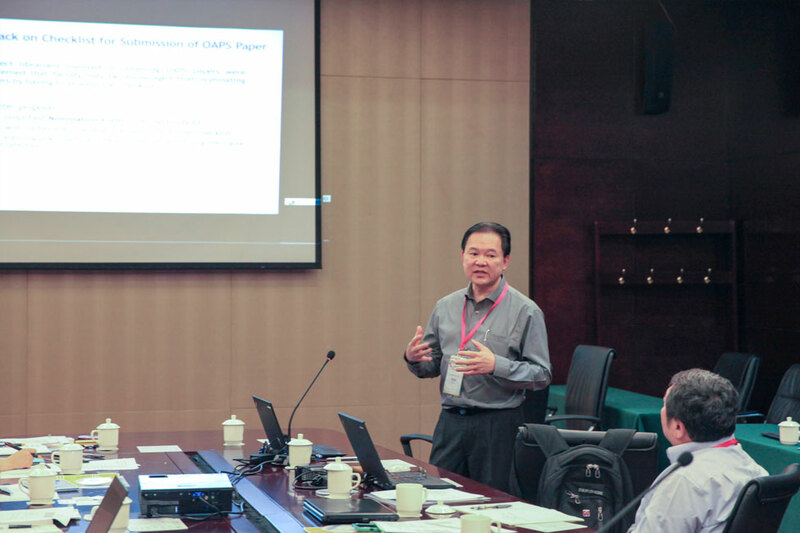 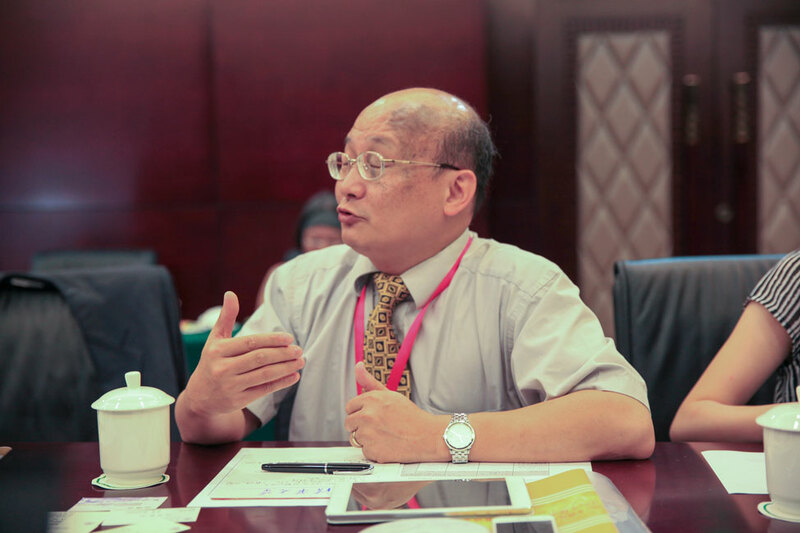 Prof. Ng Sik Hung, Chair Professor of Psychology of Renmin University of China, was invited to present a talk “A Capstone’s View of OAPS” in which he provided valuable suggestions on the future development of OAPS. 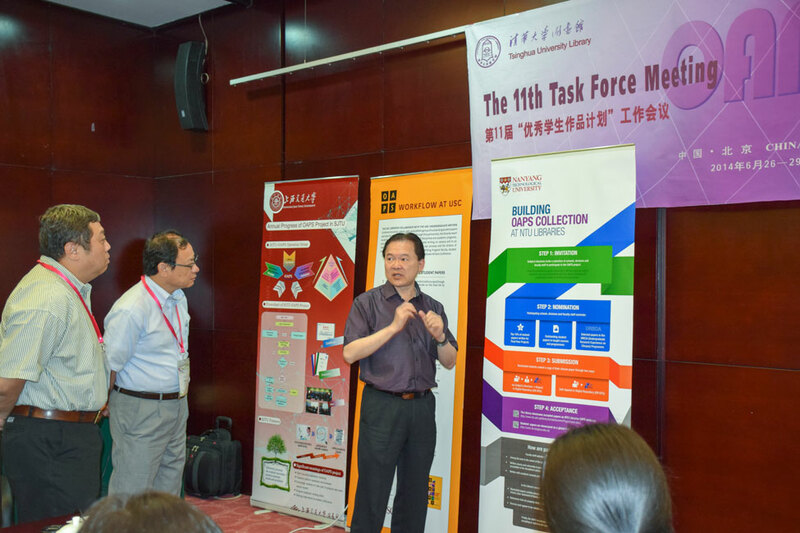 During the meeting, Prof. Keiichi Uchida, Director of Kansai University Library introduced their CASC Digital Archives, and Ms. Guo Yiqun of Tsinghua University introduced their Architecture Digital Library. 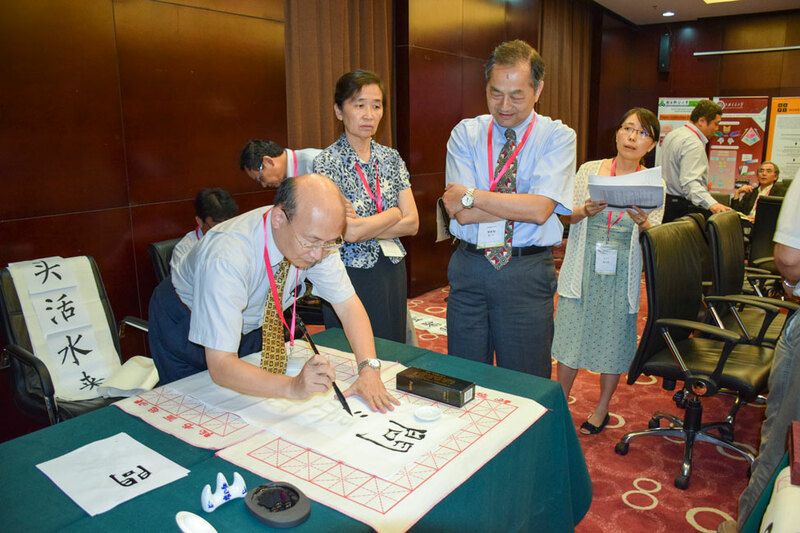 Their materials are good resources to our GE courses and subject librarians.